Some Positive Articles in the House Market… Good time to buy? Absolutely!!!! The U.S. finally has moved beyond attention-grabbing predictions from housing "experts" that housing is bottoming. The numbers are now convincing. Nearly seven years after the housing bubble burst, most indexes of house prices are bending up. "We finally saw some rising home prices," S&P's David Blitzer said a few weeks ago as he reported the first monthly increase in the slow-moving S&P/Case-Shiller house-price data after seven months of declines. Nearly 10% more existing homes were sold in May than in the same month a year earlier, many purchased by investors who plan to rent them for now and sell them later, an important sign of an inflection point. In something of a surprise, the inventory of existing homes for sale has fallen close to the normal level of six months' worth despite all the foreclosed homes that lenders own. The fraction of homes that are vacant is at its lowest level since 2006. The reduced inventory of unsold homes is key, says Mark Fleming, chief economist at CoreLogic, a housing data-analysis firm. For the past couple of years, house prices have risen in the spring and then slumped; the declining supply of houses for sale is reason to believe that won't happen again this year, he says. 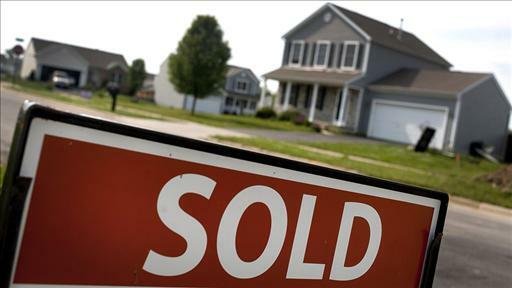 "Even with the overall economy slowing," Wells Fargo Securities economists said, cautiously, in a note to clients, "the budding recovery in the housing market appears to be gradually gaining momentum." A version of this article appeared July 12, 2012, on page A2 in the U.S. edition of The Wall Street Journal, with the headline: Housing Passes a Milestone.